In my production role at TVW, I had an involvement with many of the programs mentioned by others. However a few stand out in my memory. In 1968 a group of senior executives from Channel 7 Perth established Telethon, a registered charitable trust dedicated to raising funds to improve the lives of children and young people throughout Western Australia. By 2008, Telethon had raised over $80 million and provided much needed financial assistance to a significant number of charitable organisations, children’s hospitals and research/medical facilities. In early discussions about a Telethon. Jim Cruthers wanted it. Brian Treasure didn’t. Brian, ever the salesman, was not pleased about losing revenue for 24 hours. Prior to Robert Holmes a Court, there was no paid advertising during Telethon. Brian had a good point as clients made a donation and received free plugs during the show, thus reducing overall revenue. However, when the decision was made BST backed it to the hilt and as usual gave us many great ideas and encouraged corporate donations. The production of Telethon was always a team effort. As far as I can remember, the studio program was produced by a group headed by Marion Leyer. Later Brian Smith assisted with choreography and production. Prior to Brian joining us Shirley Halliday and her dancing school provided the choreography and the dancers. Later Brian and Danny Harford produced the entertainment segments. Various members of the staff had responsibilities to other elements of the overall production. In fact practically the whole staff was involved in one way or another. Telephonists, interstate guest hosts, car drivers etc. Some outstanding professional performers became annual visitors and many locals were launched into the entertainment industry. The atmosphere created in the studio, and the whole building, by the crowds and the talent, is something I have never experienced before or since. In fact I believe the policy of inviting viewers into our premises for this, and other shows, had a lot to do with TVW’s success in the early days. We captured the swinging viewer because they had seen where their programs came from and felt part of TVW7. During my time at TVW, I was invited to New Zealand to produce their first Telethon. I believe it is still going. Later I also produced the National Olympathon from Sydney to raise funds for the 1984 Olympics. I first saw a Pageant when I was at Channel 10 in Adelaide (the TVW owned SAS-10). It was organised by the big retail store, MARTINS. It was not a Christmas Pageant. As our management showed interest in it, I returned to Adelaide the next year to learn more. To my surprise I was told they were not giving away any secrets and my interest was not welcome. To be fair it was not an event organised by a television station. Martins did the lot. As always we were backed by the total TVW staff, and with their support, and the support of local dancing schools, clubs etc, we were able to produce a parade that stopped the town. I can still remember driving through city streets early on the morning of the event with a long pole attached to the vehicle to ensure no overhanging wires or decorations would snag a float. Prior to the commencement of the parade Tim and Phil Boase would check every towbar and welding joint to ensure our valuable cargo was safe. To avoid barriers, the council agreed to paint a blue line around the Pageant route, and it was remarkable that very few children or adults crossed that line into danger. Police figures show that crowds increased from 100,000 in 1972 to 350,000 in 1977. This production is a credit to all those dedicated people who worked on it and I am proud that it still continues today with the high standard of production continuing. After several attempts to attract top world acts to Perth it became obvious that they were well outside our budget. We tried a different approach. We chose a few stars with hobbies in areas where we could offer something special in Australia, such as fishing. We sent off several letters offering a wonderful holiday in return for a TV appearance or a show. BUT NO MONEY. As could be expected, we were not rushed with takers. Except for one. We had offered Bob Hope a golf tour with some of our top Pro Australian golf stars and backed up our proposal with a letter from the Premier, Sir Charles Court. To our surprise we received a letter from his manager expressing interest. I flew to Los Angeles for discussions. He introduced me to Bob and it was then I realised he was not as interested in golf, as in the opportunity to have the crew and facilities free of charge to produce his annual NBC special. Bob was always looking for ways to save a buck. He thought the title BOB HOPE DOWN UNDER, and from the remotest Capital in the world, had something going for it. Particularly if it cost him nothing for travel, accommodation etc. We arranged contra with Qantas and local hotels and the deal was done. In 1978 he came with a group of forty crew, performers and musicians. Others who came with him were Florence Henderson (Brady Bunch), Barbara Eden ( I dream of Jeannie), and Charo. On a couple of occasions during his stay Bob invited me to go walking with him. The only problem was he went walking about midnight and returned to the Hotel in the early hours to check the material produced by his three joke writers before it was transferred to large idiot sheets by his fulltime idiot sheet writer and holder. Bob never ad-libs. He corresponded with me for many years after the visit. We were trying to set up a show from Kalgoolie. The American producer, Chris Bearde, was so impressed with our gun director, Keith Mackenzie, that he invited him back to LA to edit the programme for NBC. Bob Hope (1903–2003), was a British-born American comedian and actor who appeared in vaudeville, on Broadway, and in radio, television and movies. He was also noted for his work with the US Armed Forces and his numerous USO tours entertaining American military personnel. Throughout his career, he was honored for his humanitarian work. This was probably my biggest challenge. 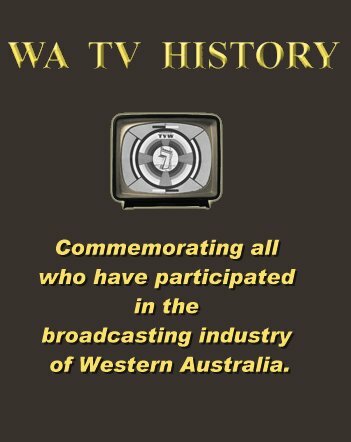 In about 1977 the State Government started sounding out local business to support the celebration of WA’s 150th birthday. Because the winners of our Beach Girl Competition represented Australia in the MISS UNIVERSE PAGEANT, and I was the Australian franchise holder for this pageant, I suggested preliminary discussions with the Pageant principles about holding the event in Perth. At first the costs of flying and accommodating about 90 contestants, 50 staff, and equipment from all over the world seemed prohibitive. However early discussions with Qantas and Sheraton showed promise. The fact that the program would be shown to about 500,000,000 viewers around the world was attractive. I was given the go ahead to negotiate and present management with a budget. In 1977 a Qantas representative and I flew to the Dominican Republic to attend the Santa Dominica Miss Universe Pageant. We had discussions with the Managers of the event, Harold Glasser and Bob Parkinson. We negotiated a deal that ensured Qantas would receive adequate advertising for its considerable contribution. They would fly 90 entrants from 90 different countries around the world and about 50 support staff from the USA and the UK. A big ask. The preliminary events were held in Mexico City and the telecast was in Acapulco. In spite of the many distractions our crew gained valuable information about the requirements and procedures we would face in 12 months time. We also staged an Australian exhibition to promote the event in Perth. At the 1989 event in Perth we shared the limelight with the crashed Russian Satellite and the collapse of some stage set pieces that were not designed to carry the weight of the combined USA press corps. As it happened, during the prerecording of the opening credits prior to the telecast, we discovered to our horror, that NBC were only giving Qantas 30 seconds promotion instead of the agreed 90 seconds. After discussions NBC refused to increase the promotion time. At this point I probably took the most dangerous decision of my career. I instructed the Entertainment Centre staff to extinguish all the lights. 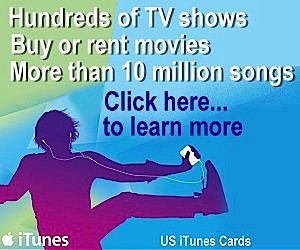 TV stations around the world would lose millions of advertising dollars if the show was not telecast. NBC representatives told me they would take legal action and I would never work in television again, if I didn’t turn the lights on again. It was only after they relented and remade the promo to 90 seconds, and we saw it in the can, that I gave the OK to turn the lights on. To this day I doubt whether senior TVW Management knew of this near disaster. I must have been forgiven for my ‘lights out’ episode because I was invited to South Korea the following year to be a judge for the 1980 Miss Universe Pageant. Hey just wished to say that you possess a 404 on this entry.